In an era when new-age methodologies like Agile and DevOps have become the norm for application development, the public-sector domain is challenged by aging technology stacks supporting mission-critical applications. The impedance to modernizing the technology ecosystem of government organizations stems largely from the prevalent top-down, high-ceremony methodologies established for procuring IT products and services. Heralding a change across the public sector is Citizant—a bellwether of IT infrastructure modernization—that champions the cause of assisting public-sector organizations to unleash the value of leading-edge technologies and methodologies to yield increased velocity. 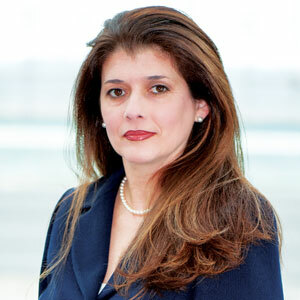 “We specialize in large-scale IT modernization of enterprise applications and structure them to operate synergistically, in terms of sharing information and facilitating data-driven outcomes,” states Alba M. Alemán, CEO, Citizant. To take on the funding constraints and the top-down approach that impede government organizations from experiencing the benefits of DevOps, Citizant has invested in specialized capabilities that eliminate data silos and integrate applications using microservices and APIs. The company focuses strongly on delivering business outcomes by remaining “tool-agnostic.” With unparalleled domain expertise in understanding legislation, presidential/agency directives, and initiatives that guide IT modernization in government, Citizant integrates and harmonizes data from different sources to set the stage for advanced analytics. “We build robust applications that meet customer requirements and allow them to respond flexibly to legislative and regulatory changes,” says Alemán. Before deploying a solution, Citizant understands the results sought by customers and delivers the best outcomes even when it means going the extra mile. Accordingly, Citizant focuses on a spectrum of parameters involving data maturity, data integration challenges, and automation to increase process efficiency and assess an organization’s DevOps maturity. Citizant leverages the knowledge garnered from numerous other government customers to implement solutions; this has helped Citizant build strong relationships with several senior-level executives in government agencies. “We pride ourselves in connecting the dots for our customers and helping them garner best practices from each other,” remarks Alemán. Solutions deployed through Agile methodologies have consistently earned Citizant superlative customer satisfaction scores. For a government agency that tasked Citizant with developing a DevOps center of excellence, the company established KPIs for evaluating required tools against the customer’s existing technology stack. In spite of not having licenses to access the customer’s tools or adequate information on the required version of the software or products, Citizant evaluated and recommended the tools and technologies the agency needed to build its first fully automated Continuous Integration/Continuous Delivery (CI/CD) pipeline. In less than six months, over 10 mission-critical application development teams were connected to the delivery pipeline in proof-of-concept efforts. For one of the first projects implemented, the automated CI/CD pipeline enabled Citizant to detect over 1,000 potential security vulnerabilities in code that was already in production. Application developers received the detailed insights needed to address several critical weaknesses immediately. Citizant also identified redundant code to increase code quality and accelerate testing and delivery processes by over 85 percent. Furthermore, Citizant’s CI/CD work lays the foundation for the customer to reap value from containerization, platform as a service, and microservices in the coming years. Citizant continues to focus on achieving business outcomes and providing customers with targeted strategies for designing successful IT modernization roadmaps that align with key organizational goals and objectives. Alemán opines that change can cause anxiety and a fear of failure, especially in risk-averse organizations. But she says Citizant mitigates these fears by focusing on business outcomes, providing leadership in evolving DevOps strategies, and helping customers effectively maneuver change management processes.